Wine bars are upscale yet relaxing environments where you can hang out with friends, discover new wines and enjoy live entertainment. 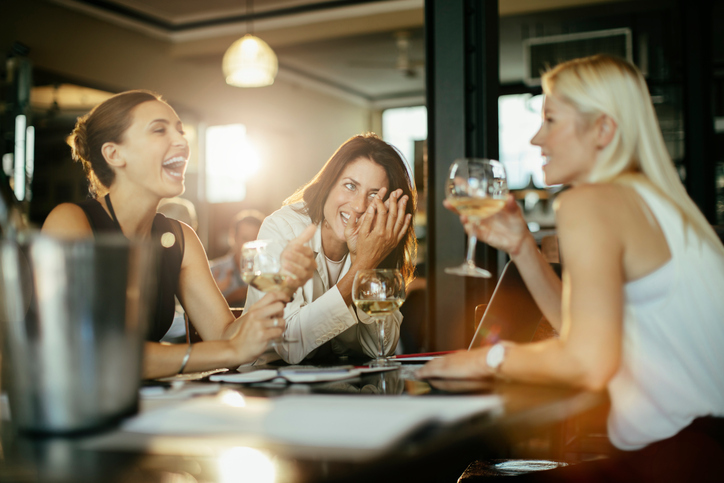 Whether this is your first or fiftieth visit to a wine bar, make the most of it with these tips. You’re accustomed to sampling flavors at ice cream parlors and even craft breweries, but for some reason, you might think asking for samples is off limits at a wine bar. This simply isn’t the case! If you’re feeling unsure of your choice, feel free to ask for a taste or two. As long as the bottle is already open, the sommelier should be happy to oblige. Think of wine by the glass like a tapas menu – the table orders a few and everyone shares. This is a great way to try new wines without overindulging. If you don’t feel comfortable drinking from the same glass as your friends, ask for a few extra from your server that you can use to share drinks. The wide selection of drinks available at a wine bar is your chance to try something new. You can order your go-to Merlot at any restaurant, but when visiting a wine bar, dare to branch out! Sampling helps ensure you pick something you’ll enjoy, and if you don’t like it, you can always send it back. Speaking of which, if you order a glass of wine you’re not fond of, you don’t have to finish it. The servers at a wine bar want you to relax and enjoy what’s in front of you. If you don’t think the drink matches the description, or there seems to be something off about it after a few sips, there’s nothing wrong with asking to send it back. If you decide to try another new drink afterward, consider sampling it first to avoid a repeat occurrence. If you’re looking for a wine bar where you can drink whatever you want and send wine back if you don’t like it, Vinum Bar in Newark, CA is the place for you. We’re upscale, but we’re not snobs. We want you to have a memorable evening with friends every time you visit, and we’ll do everything in our power to make you comfortable and happy! Stop by Vinum Bar tonight, or call us at 510-285-3585 to make a reservation.